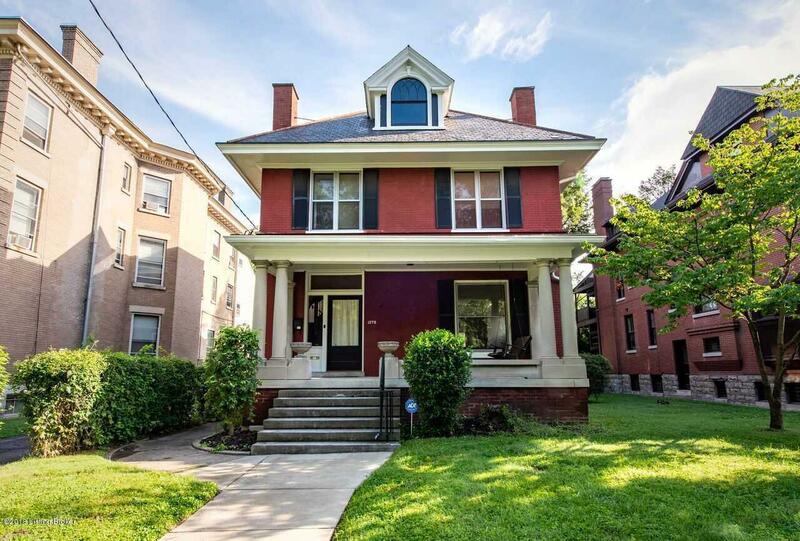 This renovated 3 story traditional home is ideally located in the heart of Cherokee Triangle. This outstanding spacious brick home greets you with its large pillared front porch and traditional porch swing. As you pass through the front door into the entryway you are met with all original hardwood floors, oak columns and archways leading to the front parlor (living room) and carved turned wood stairway that leads to the 2nd floor. The traditional craftsmanship brings an elegance of a by gone era to the home. Original pocket wood doors open from the living room into the library /formal dining room.